SOAPware DocumentationSOAPware FAQ'sFAQ's OrdersQ: How do I remove or add Order Entry sub-items? 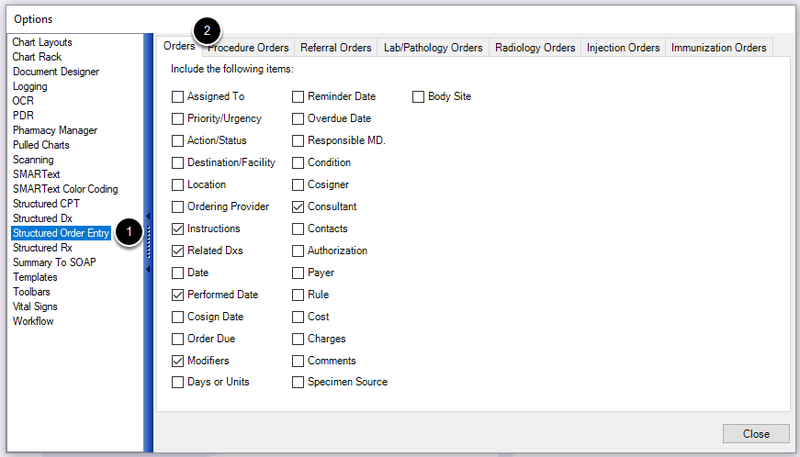 A: Adding and removing Order Entry sub-items that are displayed is accomplished under the Tools > Options menu, and is a user-specific setting. 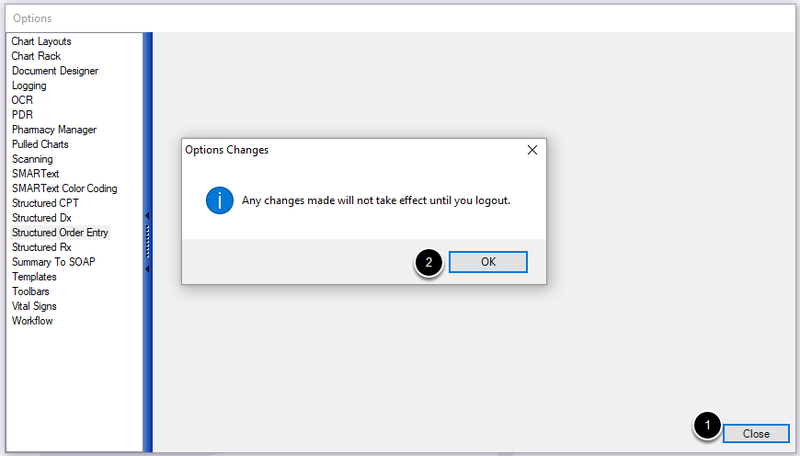 When a user changes a sub-item to either display or not display in the field, those changes will only be reflected with new orders that are inserted after the change was made. Orders that are already in the SOAP Note or Order Manager prior to these changes, will not be modified. Click on Structured Order Entry. Click each tab and modify the sub-items by checking the ones you wish to display with the order. Click OK and logout of SOAPware for these changes to be saved. This setting is a user-specific setting, so it will need to be updated for each user that logs in to SOAPware. Previous Lesson: Q: Are there examples of orders available on the SOAPware Cloud Library? Next Lesson: Q: When I make a change to a pick list within a template, why does this change not reflect when I insert the template again into the SOAP Note?